What do you think what makes a man unforgettable? The way he dresses, the way he talks, Naah! Both of them are important in building a man’s impression, but what is it that creates a distinctive aura around him, it is the scent that he wears. There are a variety of fragrances available in the market. Some are meant for casual wear while others are for formal occasions. Bold men like to wear bold and strong scents and people like me who want secrecy and class usually prefer light and delicate fragrance. Choosing the right cologne might be easy for some people, but for others, it is not as simple. There is one brand of perfumes which stands heads and shoulders above the rest and it is Creed. You would be with me on this that we have always wanted to have one in our collection as they bring exclusivity and class. So, which Creed to buy, there are a lot of options and many different characteristics to choose from. To help with your confusion, we have compiled a list of Creed colognes which are the best of bests. We have tried to put all there is to Creed colognes and hopefully, this will help you decide which one to go for. 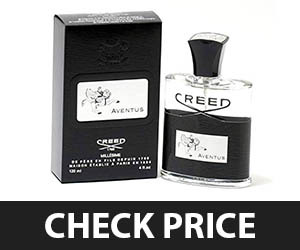 The first on our list of best Creed colognes is Aventus which is really one of finest productions of Creed. It was inspired by the striking life of an emperor, Aventus was made to cherish the strength, potential, and successes of a great man named Napoleon. Handcrafted by the master of perfumes Oliver Creed in joint efforts with his son, Erwin, this masterpiece was introduced in the market in 2010. Oliver Creed and Erwin handpicked Creed Aventus ingredients for its composition to develop a confident, rugged and intense scent. The fragrance has a rich and fruity style with top notes of blackcurrant leaves, bergamot, apple, and pineapple. Aventus’s medium and base notes contain birch, patchouli, pink berries, jasmine and musk, oakmoss, ambergris, vanilla respectively. Aventus is the culmination of masculine-centric perfumery. It is dry and mossy yet, very wet, it is fruity yet woody and it is distinctly green yet glutton. It is dark and languishes yet powerful and optimistic and I can go on and on but cutting it short to say its a lesson in dichotomy. If you are wondering how it smells like, The opening of Aventus smells really clean and of high-end ingredients. The fragrance of Aventus is dominated by pineapple, blackcurrant, and apple at first. But, within several minutes scent introduces a rich birch across a layer of vanilla. Throughout its duration, Aventus present itself as a swirl of oakmoss and birch and ambergris makes it smell like a damp earthily forest floor. Who should wear it? Aventus is not meant to wear every day as it is too good and also expensive. There are other fragrances available for daily use. For me, it is best for moments when I want to make a solid impact or I have to make a really important presentation at work. It makes your personality imperial which is approachable but reminds everyone you are the one who determines their destiny. Longevity: Well how long a perfume lasts depends on several conditions including the body’s chemistry and atmospheric temperature. When I got the sample and gave it a try Aventus lasted for eight good hours, there are other colognes which would probably last more. Moreover, I gave it shot in late summer which mean it’d probably last less in full summer. Some of my friends say it lasts more than 10 hours, but again it is the chemistry of body which results in variation. Value of money: Aventus is one of the most expensive colognes, so some people might think that it is not a good idea to spend this much money on cologne. But, in my opinion, if you can afford it and want to invest in something that is worth the money, this bottle of cologne is totally worth it. How to spot a Fake Creed Aventus? 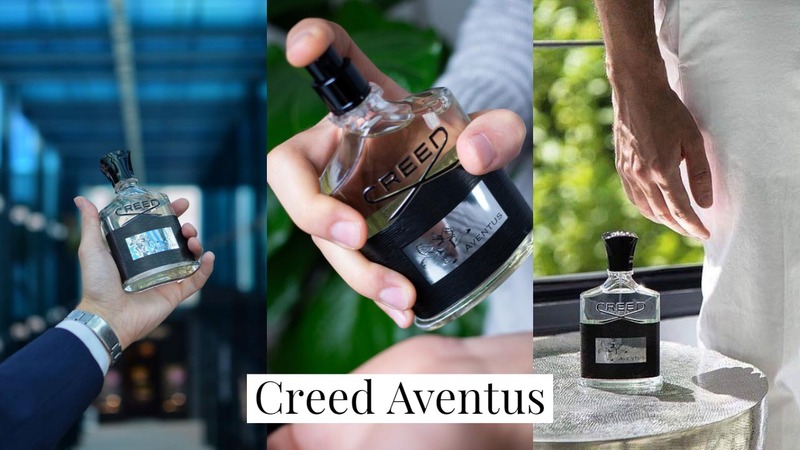 Of all the Creed colognes, Aventus is probably the one which is faked the most. Fake Aventus may look exactly like original Aventus and it is hard to differentiate between two. However, there are a few things which will help you identify original Aventus. The first thing is their price. A fake Aventus may come at a fraction of the price which should ring bells in your mind. So, we would recommend you check the price before making the purchase. In terms of the bottle, Creed has a white outer ring to the atomizer. It may have an inner black or grey atomizer but the outer ring has to be white. So, be diligent enough to check that if you are going with Creed. On checking the box, make sure to check that the box has black edges and that is because Creed Aventus boxes are all black, inside and outside. So, we would recommend you just flip the cap open and see the edges are black. If they are white or some other color, this means that the box was probably painted black. So, make sure to check the edges. Another thing to note in terms of boxes is cellophane wrapping. Creed does not wrap their bottles in cellophane and if you see it is most probably fake. Filling of the bottle is also important in differentiating between two. The original bottle is filled till the top, unlike fake ones. The box of an original Creed would have a sticker with the batch number and other information on it. This sticker can be peeled off. The fakes come with that information printed on the box rather than a sticker. Why is Creed Aventus So Expensive – The prices of Creed Aventus easily exceeds the channel and there are reasons for that. For a starter, it is the quality of the product. Aventus has been made so delicately and perfectly which justifies its price but another major reason for its high price is controlled distribution which makes it almost exclusive. 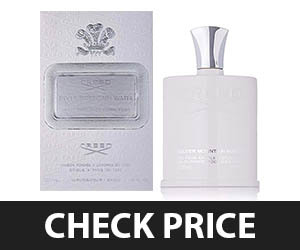 For starter; Creed Royal Oud comes at a much lower price than Aventus. The fragrance of Oud is equally good for women and men, unlike Aventus which is masculine-centric. 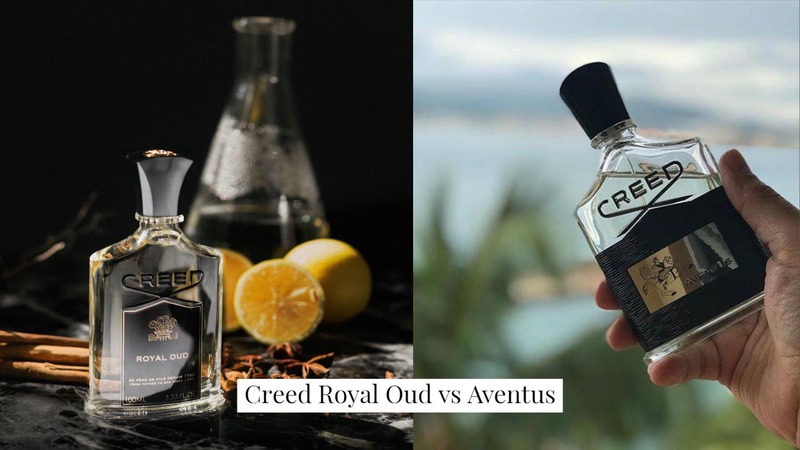 When it comes to Creed Royal Oud Vs Aventus and their longevity, Aventus takes the lead here. Aventus lasts much longer than Royal Oud. The fragrance of both are also different and reviewed in their respective sections. Creed hardly produces their fragrances without any inspiration, so like the majority of their scents, there is an inspiration behind Creed Bois Du Portugal cologne as well. It was inspired by the fragrant trees of Portugal and the man behind its production was one and only master of perfumery, Olivier Creed. Bois du Portugal was first launched in 1987 and it is in production ever since. As Bois du Portugal is the single mature classic woody oriental fragrance left in a male catalog of Creed, this makes it the matchless Creed cologne for men. It has top note of bergamot which lasts for 20 minutes with a few sprays. After this, the middle note takes the lead with a fragrance of lavender. 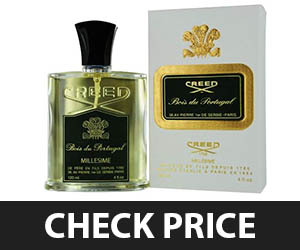 The middle notes co-dominate with Creed Bois Du Portugal’s base notes of sandalwood, cedar, vetiver, and Ambergris. Talking about its projection it is pretty much moderate and is enough to create a sweet and classic aura around you, but it is not something which can be smelled from a significant distance like modern colognes. Who should wear it? I wore this scent for a week and in my personal opinion, the scent of this cologne is not suitable for men under thirty. The classic fragrance restricts it for the use of mature men only. This cologne is good for both casual wear and formal events, but it is not suitable for clubbing or stuff like that. Longevity: In terms of longevity, this cologne was pretty great in our tests. The strong Portugal scent lasted for 7-8 hours and a bit weak scent lasted for a couple of more hours. Value of money: If you are into classic and refined smells and have some money to spare the bottle of this cologne is worth a purchase. However, it is not something that guys of my age (Under 30) would want unless you have a very refined and mature taste. 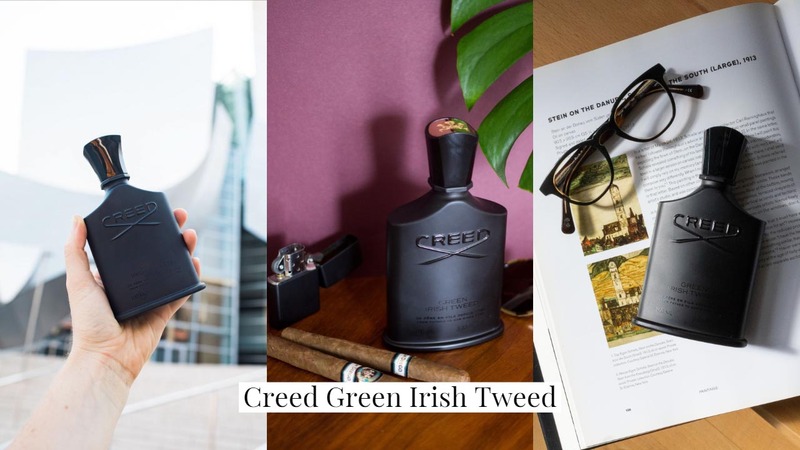 Creed Green Irish Tweed cologne is next on our list of top Creed colognes. It is a classic Fougère scent produced by Creed. 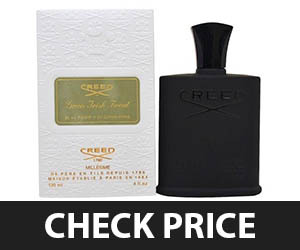 This signature product of Creed is a favorite of many celebrities. It is reported that Tom Hanks, Robert Redford, Robbie Williams, Pierce Bronson, Russel Crowe, and George Clooney wear this scent regularly. This cologne has a fresh, green, rich and sporty scent. It introduces itself with top notes of Lemon verbena and iris. The fragrance of Lemon verbena dominates the overall scent throughout its duration. After three to four hours iris starts fading away and a middle note containing violet leaf takes its place. 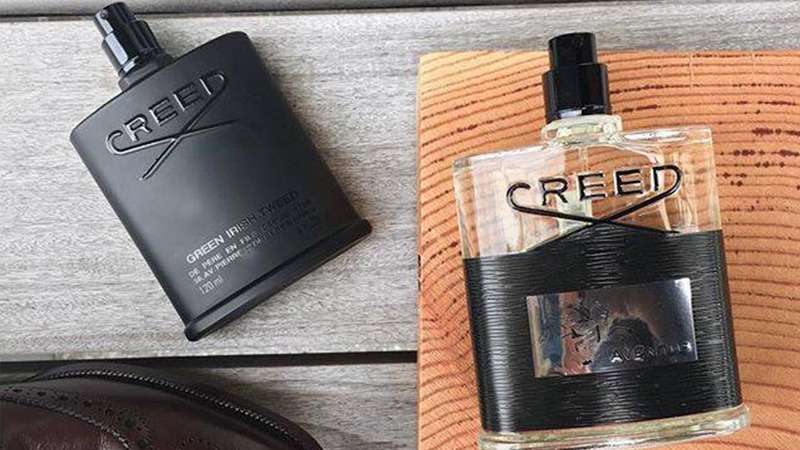 Creed Green Irish Tweed has base notes of sandalwood and ambergris which coexist with top and middle note. This makes it a unique mixture of three notes producing an unforgettable scent. In terms of silage, a number of friends have tested this and gave different opinions. Some said, it has strong sillage and it projects itself to a greater distance. However. I think it is not that strong and it projects itself to a moderate range which is only enough to create an elegant and unforgettable aura around you. Who should wear it? Green Irish has a quite pleasant smell and in my opinion men of all ages can wear this one. However, young people may have to dress appropriately to pull this off. You need to wear a proper classy suit with an elegant watch. Wearing it with a dirty T-shirt and ripped jeans will make it smell like hair spray (I really mean that!). Longevity: Talking about its longevity, it is a long-lasting cologne. Its smell stays strong for 8-12 hours depending on the body chemistry and temperature in the atmosphere. Value of money: Despite all its goods value of money is where it lags behind. There are no doubts about its quality, but having said that there are several other colognes which smell as good as this, but come at a much lower price than this cologne. Maybe, the brand name Creed has something to do with it, yeah, maybe!. Green Irish Tweed vs Aventus: Which one is better? 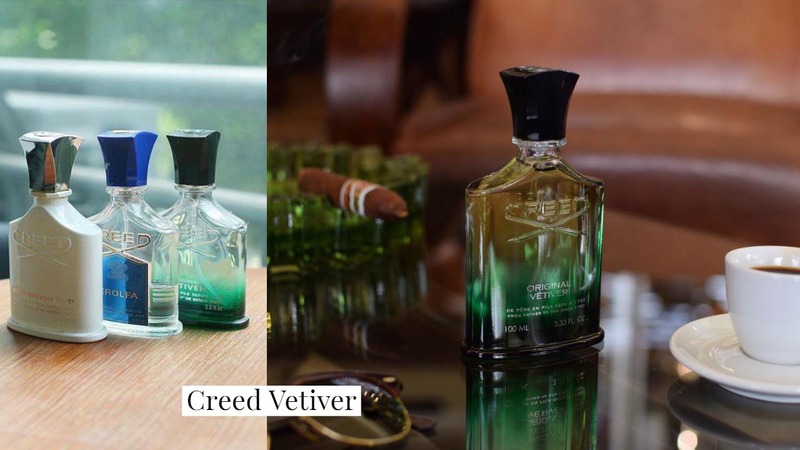 Green Irish Tweed and Aventus both are elegant products of Creed, but Aventus takes the lead over Green Irish Tweed because it justifies its price. In terms of longevity, Aventus lasts a bit longer than Green Irish, but the projection of both are pretty much same. Green Irish can be worn casually unlike Aventus which gives it lead here. But, overall, Aventus is a better choice and if you have to choose between two we would suggest you purchase the Aventus. One wonderful thing about the Creed is their individuality. Like the rest of their products, Millesime Imperial bears no resemblance with masses of scents available in the market. This cologne has a romantic and warm scent, a reminiscent of citrus and wonderful seaside scenery of sparky Sicily. Talking about Creed Millesimal Imperial cologne and its notes, they all smell great and the fragrance is unique. Top note has mixed fruity smell and sea salt flavor which lasts throughout its duration and makes it best for summer. Mid notes are a perfect blend of iris, Sicilian lemon, Mandarin orange and bergamot. The mid note doesn’t dominate itself however provide a sweet recessive smell of its ingredients during the whole course. 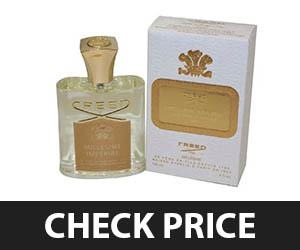 Creed Millesimal Imperial base notes consist of marine water, woody, and musk and they make it perfect for summer wear. It gives a refreshing and stimulating aura. The perfect composition of this cologne makes it mouthwatering. Silage of this fragrance is moderate and it usually radiates to arm’s length. Projection is enough to impress a person you are having a conversation with but isn’t so great to attract the people standing at a distance. Who should wear it? Millesimal Imperial being a sophisticated scent and creating a feeling of wellbeing is good for casual wear for men of every age. The marine water notes make it a cologne of choice for summer. Longevity: Despite all its goods; longevity is where Millesimal Imperial lags to behind. When applied on skin, it evaporates quickly so it is not good for the people who like the scent on the skin. But when applied on clothes, it can last for six to eight in an air-conditioned room but lasts shorter when tested out on streets. Value of money: On this topic, I would say if you are a student or have a job where you spend most of the time in air-conditioned rooms, this bottle is worth a shot it justifies its price here. But, if you are purchasing to wear this out on the streets, it is not something you should be spending your money on. 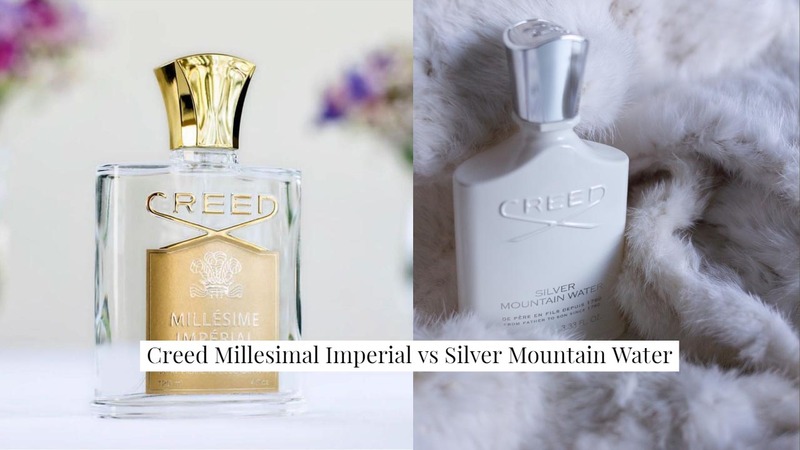 Creed Millesimal Imperial vs Silver Mountain Water – Which one is better for summer? Millesimal Imperial and Silver Mountain are both fine products of Creed and both have different inspirations behind their production. However, there are a few points where a comparison can be drawn. Silver Mountain has a type of scent which can be worn in every season but the marine water scent of Millesimal Imperial restricts it for summer use only. Another thing which can be compared is their longevity. Both of them last equally in summer but a problem with Millesimal Imperial is it can be worn only on clothes, unlike Silver Mountain. People who like a scent on their skin should go for Silver Mountain. Now, if we talk about which one is better for summer wear, Millesimal Imperial has an edge here. As talked earlier, it’s marine water scent creates a stimulating and fresh aura around you which is exactly what you need in summers. Olivier Creed was known to be fond of skiing and it is believed this masterpiece was inspired by his that particular fondness. Silver Mountain was made to recall fizzy high mountain streams of water found in Swiss Alps. Projection of this inspiration can be seen on its bottle design which is white with a silver cap and bears resemblance to a snowy mountain with shining water streams flowing down from it. Creed Silver Mountain Water cologne makes our cut of top 10 Creed colognes in that when sprayed it introduces its top note of bergamot and mandarin orange. This takes the backseat after several minutes and a middle note containing green tea and black currant reveals itself. The middle notes dominate throughout even after it dries down. 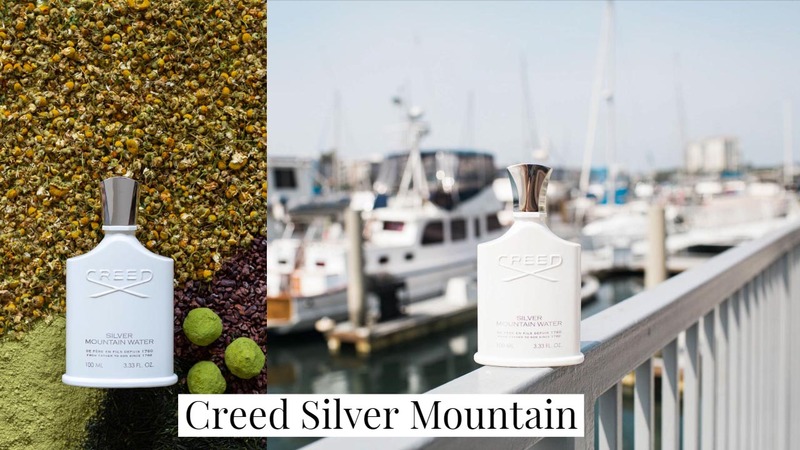 Creed Silver Mountain Water base notes are musk, petit grain, sandalwood, and galbanum, out of which Musk is dominant. In terms of projection; just like the Creed Millesimal Imperial, it is not very strong to be smelled from a distance. It impresses people near you but not too great to attract people standing away from you. Who should wear it? The perfect composition of notes creates a unique, fresh, citrusy and smooth scent which is best for warm weathers and even for fresh winter days. The scent is good for everyday wear but not for grungy looks. It works well with semi-smart or smart dresses. Longevity: As said earlier, It can be worn both in fresh winter days and in warm summers. Longevity usually depends upon the temperature. It will last three to six hours in summers. But, it’s duration seems to increase in winters and it can last for 7-12 hours depending on the body’s chemistry. Value of Money: This scent is unique and different from the mass of perfumes available in the market. So, before purchasing it, you might want to test a sample. If its smell makes to your expectation, this bottle is definitely worth a space in your wardrobe. Creed Vetiver cologne was introduced in the US after World War 2 when soldiers returned with their newly found European taste. The scent has been favorite of leading political families of America ever since. Vetiver made to list of favorite colognes of Michelle Obama and President Kennedy. There is an entire list of politicians who have worn this classic on several occasions. Vetiver smells like original vetiver and it feels like it has been freshly pulled from the soil. The composition of the top note is citruses and bergamot. Citruses present themselves throughout the duration but bergamot swiftly fades away when middle note takes charge which is made up by ginger. Before the middle note dries down, Creed Vetiver’s base notes dominate with Virginia cedar, Ambergris, and Vetiver. Vetiver dominates the scent overall. Even though Vetiver is in the bottom, it presents itself throughout the duration which gives a fresh and damp scent. 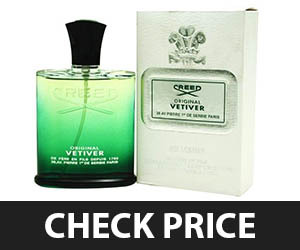 Creed Vetiver has a moderate projection, just like the politicians want. It radiates itself to arm’s length at max. So, it will mark a good impression on the person you are having a conversation with. Who should wear it? The production of this classic masterpiece was discontinued by the Creed so it available exclusively and comes at a higher price. High price restricts its daily use. The scent is classic and best for special occasions like convocation, weddings, or any formal office function. Longevity: To be honest, the longevity of this particular cologne was a real disappointment. A cologne of this price should at least last for 7 hours, but when tested, it hardly lasted for 2 hours which came as shock. However, some of the friends also gave it a try and in their experience, it lasted a bit longer than 2 hours, but still not enough to classify it as cologne with moderate longevity. Value of Money: If I were you I wouldn’t spend my money on this bottle and the major reason for that would be its longevity. There are several colognes available in the market which cost far less and have fair longevity with a classic scent. However, if you have money to spend and want an exclusive cologne worn by famous politicians, it might be a good addition to your wardrobe. Olivier Creed, a man driven by inspiration, created this masculine scent inspired by his experience of magnificent, eternal and unapproachable mountains of Tibet in the Himalayas. Creed reflected this inspiration on the perfume’s bottle as well. 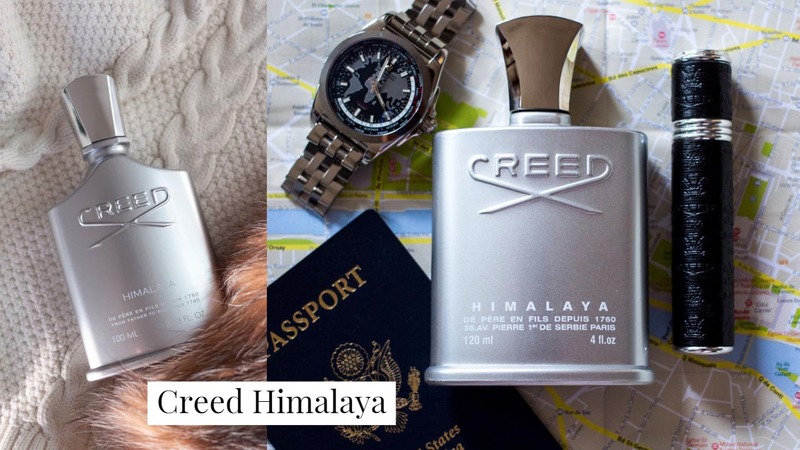 Creed Himalaya cologne has a metal exterior which resembles the sparking surface of ice on mountain peaks. The scent creates natural, clean and snow-melting vibes because of its delicately picked ingredients. It has top notes of grapefruit, Calabrian bergamot and Sicilian lemon with middle notes of sandalwood. Sandalwood and Calabrian bergamot dominate the fragrance right after it is sprayed. After a few hours, Musk from base notes co-dominate the fragrance with a recessive scent of cedar and ambergris. When it comes to projection, Himalaya has a moderate projection which means it spreads itself to the length of arm’s length for the first two hours. But after that, it just stays close to the skin. Projection is good if you are wearing it for short functions, but not good enough to provide you with a powerful aura in a longer function. Who should wear it? Creed Himalaya has a classic masculine-centric scent which restricts it for the use of females. However, it is equally good for men of all ages those who want to smell classic and powerful like Himalaya. This scent is good for almost any occasion and you can also wear it casually when you want to smell nice and clean. Longevity: Creed Himalaya has longevity of three to six hours in summer and lasts much longer in winter where its longevity increases to 7-12 hours. Value of Money: When its price is compared with the rest of colognes mentioned in the list, it is way more affordable which makes it suitable for the daily use. If you are running short on budget and want a great classic masculine-centric cologne than Creed Himalaya is your best bet. 8. 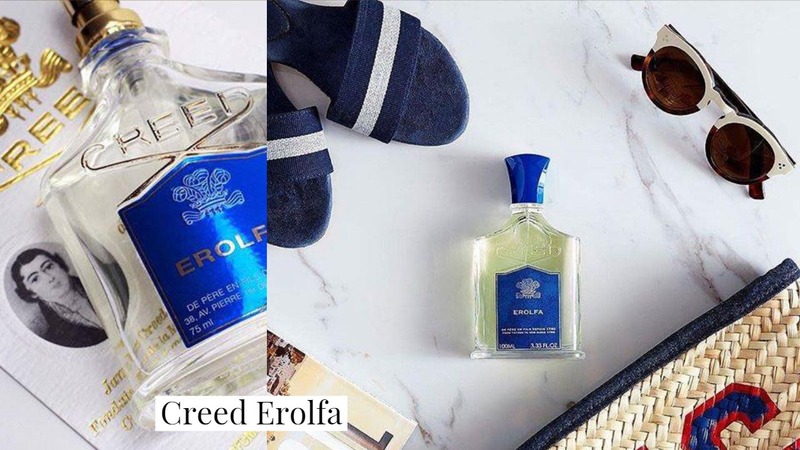 Creed Erolfa Cologne – Spicy Yet Flowery, Citrusy yet Woody – A Must Have Creed Cologne. Creed Erolfa makes our cut of finest Creed cologne. The vivify scent of this cologne tells about the happy tale of Creed’s family voyage to the Mediterranean. The name “Erofla” was made by composing the initials of the Creed family’s initials. “Er” was obtained from Erwin Creed, the only son of Olivier Creed, “OL” from Olivia the daughter of Olivier Creed and “Fa” from the wife of Oliver Creed named Fabiene. You probably didn’t want to know that much history, but you would definitely like to Erolfa’s notes. So, top notes contain lime, bergamot, lemon, caraway, melon, green notes and violet. This wonderful blend introduces a fresh citrusy scent which lasts throughout its duration. Middle notes reveal themselves and co-dominate along with citrusy smell containing cyclamen, pine tree, ginger, pepper, jasmine, nutmeg flower, and herbal notes. This wonderful blend of spice and flowers creates a unique fragrance which builds an unforgettable aura around you. Base notes reveal themselves at the end of duration and are composed of sandalwood, musk, oakmoss, cedar, and ambergris. This provides a woody classic masculine scent. Erolfa projects itself to a moderate strength which is to arm’s length for 2-3 good hours and after that, it stays put to skin. Who should wear it? The is one of the finest Creed cologne for men. It is good for men of all ages, though, may not be the best of choices for young men under 25. However, it might suit you if you have refined taste. This cologne with versatile scent can be used in every season except winters because of its ocean-like vibes. If you can easily afford it then you can wear it on almost every occasion and even casually. However, people like to restrict it for special occasions only because of its price. 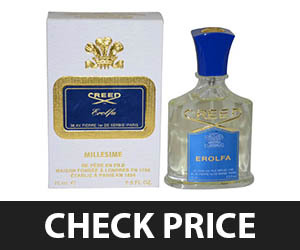 Longevity: Creed Erolfa cologne has longevity which depends on the season you are wearing it in. It lasts hardly two hours in extreme summers which is not so good. But, it lasts fine in autumn and spring and makes you smell nice for 3-6 good hours. Value of Money: This is another pricy cologne from Creed. If you are purchasing this for casual wear don’t buy it because there are several other good colognes to wear casually which come at a much lower price. However, this is one of don’t miss colognes if you are purchasing it to wear formally. So, if you are looking for a classic cologne this is the one that should make way into your wardrobe. This fragrance was developed by the special requests of several clients but over time the Royal Oud was transitioned into the typical style of house Creed. Inspired by royalties and palaces of Persia, the cologne has a warm and elegant scent. Creed Royal Oud cologne has a composition of pink pepper, lemon and Sicilian bergamot which creates a unique spicy and citrusy scent at the introduction of cologne. Middle notes have cedar, galbanum, and angelica giving another excellent blend of woody and leafy smell. Base notes have oud which is the integral part of this fragrance along with sandalwood and musk giving a unisex masculine aura. Who should wear it? Because of its woody and masculine scent, it is scent only for men. It might seem good for women on introduction because of citrusy and spicy scent, but when the middle and base notes take charge, it reveals masculine aura. Creed Royal Oud is cologne to be worn in autumn and winters especially during nights. Going to a night party in winter spray this cologne on your body and trust me it won’t let you down. Longevity. Longevity of Creed Royal Oud is pretty great it lasts easily for 7-12 hours which makes it able to be worn to the office where you have to spend 6-8 hours daily. 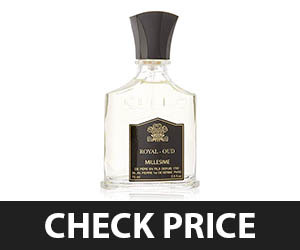 Value of money: Creed Royal Oud has good projection and lasts well for several hours, so what more does one want in a cologne (except the scent which is obvious). So, I’d say this bottle is worth spending your money on. 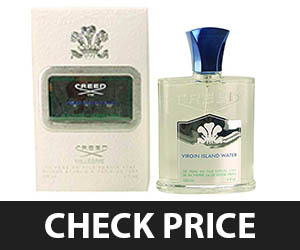 Creed Virgin Island Water cologne, as its name suggests, was inspired by a voyage of Olivier Creed in the Caribbean. Scent cherish grandeur and sizzling scents of the Caribbean. This is the best tropical fragrance out there giving you vibes of Island with coconuts. It has top notes which are composed of Lime, Coconut, and Sicilian mandarin and white bergamot. Out of these, coconut and lime are dominant and present themselves throughout the duration. Middle notes are composed of ginger, Indian jasmine, Hibiscus and Ylang which are recessive but stay there until cologne dries out. Creed Virgin Island Water base notes are composed of white rum which explains its boozy introduction with sugarcane and musk. Virgin Island does not project to great extent. It just stays close to the skin and does not create a proper aura around you just like a casual cologne should. Who should wear it? Creed Virgin Island Water is good for both women and men, but men can pull it off better because of its masculine base notes. This cologne is best for young people, probably those in their 20s because of its spicy and flowery scent. Cologne is good for winters but can be worn on windy days of summers as well. This is not something you would want to wear on occasions however it is best for regular casual use. Longevity: When used in summers, it evaporates and lasts only for three to six hours. However, in winters, it lasts longer and does not dry out for 7-12 hours. Value of money: For guys in their 20s out there, this is the bottle you should spend your extra money. At this price, I don’t think there is better casual cologne available, so this bottle should definitely occupy some space in your wardrobe. 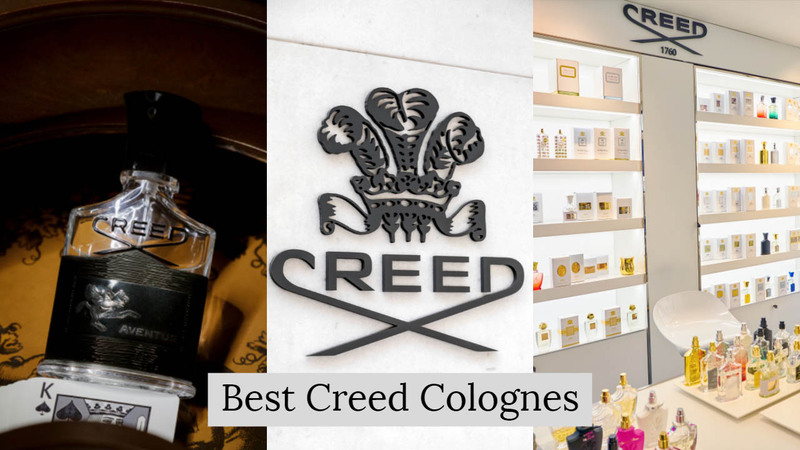 By now, I hope you have decided which is the best Creed cologne you want to buy or at least you have narrowed down your choices. But, if you are still confused; here are a few things which might help you in making this decision. There are various things you need to take into account before making any decision We will explain everything you need to consider in this section. The first thing one considers in cologne is its scent. So, which Creed cologne smells the best. There is no criterion by which we can tell you which one is the best. It usually depends on personal taste and style. Scents are of different types; some of them are very bold; some are light and some are moderate. It all comes down to which one will suit you? Imagine you are sitting in a café and having a coffee with your friends while wearing a bold scent, what sort of impression would it give? You will most likely offend your friends because of the boldness and strength of cologne. On the contrary, imagine yourself wearing a light scent in a formal party there are high chances that your scent and smell would go unnoticed. That is because almost every person over there would be wearing bold and strong strength. So, what you should conclude from this is the choice of scent usually depends on the type of occasion you are wearing it on. Lighter scents are meant for casual hangouts while bold ones are made to wear on formal occasions. Have you ever heard that a cologne lasts days, that is basically can’t be true. No cologne is strong enough to last days and longevity is the second thing you need to consider, the longevity of the perfume. What if you get ready to apply the cologne and by the time you reach your destination it faded away, how would you feel? Disappointed? Right? So, you need to carefully read about the longevity of cologne in this regard. Colognes with shorter longevity are good for formal events which last only for a few hours, but if you are purchasing a cologne to wear it in office, school or in college you must buy the one with longer longevity. In our list, we have Aventus and Millesimal Imperial which can last for up to 12 hours. On the other hand, we have Virgin Island Water and Creed Vetiver which last as little as 30 minutes to three hours. Sillage of cologne is also an important thing which needs to be considered. It usually depends on the type of person you are. Some people want to project their scents to a distance. While others want it to stay near the body, just enough to create an elegant aura around you. Almost all the colognes mentioned here in my list have moderate projection. Each cologne and its manufacture has its own particular style. The style is the vibe that a cologne creates when sprayed. To pick the right style, you need to know in which season you will use it in. You can’t use cologne in the winter that creates sea and wavy vibe because this is not what you would want in winters. On the contrary, you would want a scent that creates a woody and muddy vibe around you in summer because in this season you want a citrusy and fruity vibe around you. So yeah it is important to know the style of cologne in order to pull it off perfectly. In our list, Creed Millesimal Imperial has top notes that have a mixed fruity smell and sea salt flavor which lasts throughout its duration and makes it best for summer. It also has base notes consisting of marine water, woody, and musk and they make it perfect for summer wear. Creed Royal Oud is our choice for the winter cologne as it has a composition of pink pepper, lemon and Sicilian bergamot which creates a unique spicy and citrusy scent at the introduction of cologne. Creed vs Tom Ford which one is better? This is a difficult question to answer. Both cologne houses are producing some fine and unique scents. Over the years, they have produced class-leading fragrances. Some of their products may have similar ingredients and composition. They may have some side to side models and people may have their specific preferences. For example, Tom Ford Oud Wood comes head to head with Creed’s Royal Oud and for Creed’s Original Vetiver there is Tom Ford’s Grey Vetiver. In terms of price, Tom Ford, for most of its products, is costlier than Creed. While some people say Tom Ford is innovative, others say Creed comes with a great history. It is all down to your personal preference. Why are Creed’s colognes so Expensive? The basic reason for being this brand so expensive is their quality. Creed really make an effort to select perfect ingredients for its products which make it expensive and another contributing factor to their price is controlled distribution. 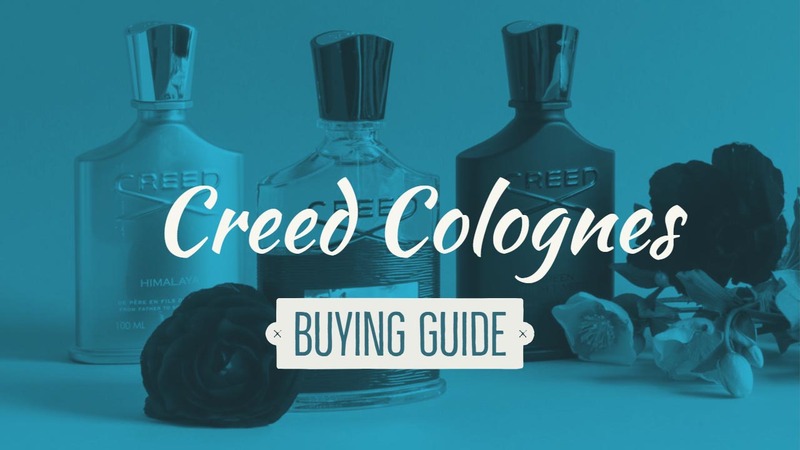 Creed colognes are usually exclusively distributed to selective stores and malls which increases their demand and has a role to play in their price. What is the right way to apply cologne? The right way to apply cologne is to spray it on both wrists and on the neck because this is where cologne can project itself well from. Should I rub the cologne after applying it? No, rubbing the cologne will destroy or modify the molecules of cologne which is why it may make it smell different than the actual scent. So, we hope by now you have made up your mind about the perfect Creed cologne for you. They come in different characteristics and features. Some of them may have a bold aura and others may have secrecy to them. While some may last you for multiple hours, others may just stay with you for two to three hours max. 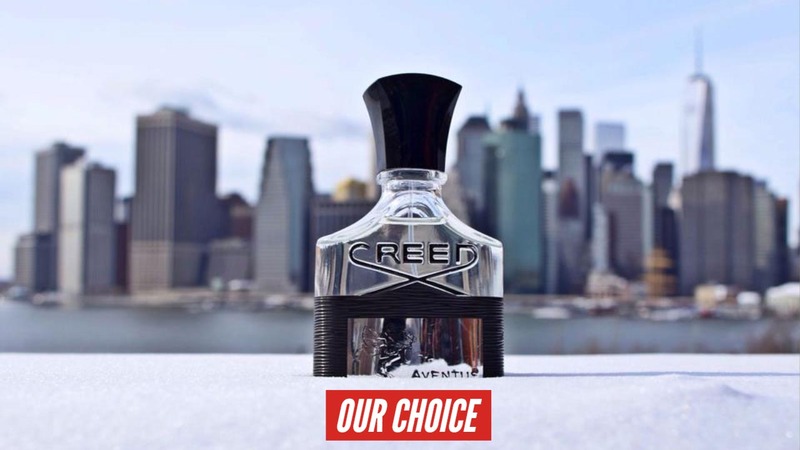 Creed over the years has become produced some great scents and have made a name for themselves. 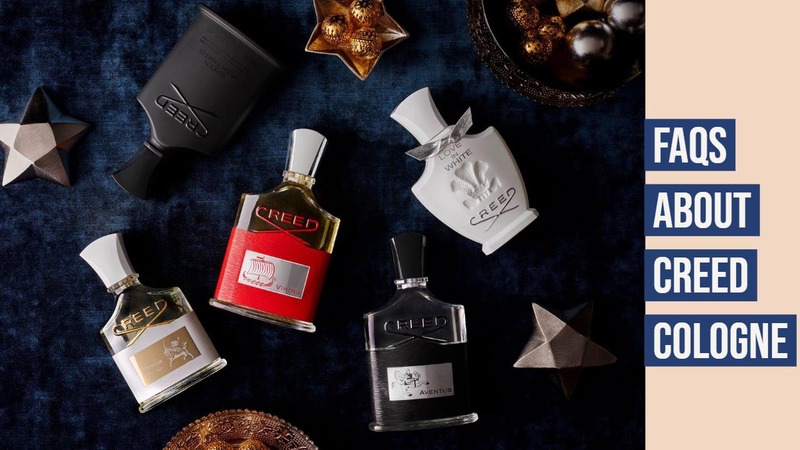 If you want to improve how you feel and how you make people feel about you, take one of our picks and I am sure you will know how it pays to own a classy fragrance from Creed.